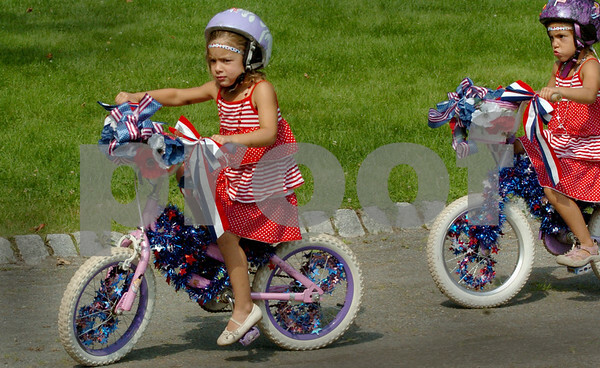 Newburyport: Twins Larissa Sabatino, left, 3, and Jenna use the Fourth of July theme for their entry into the Bike Parade at Kids Day in the Park. They had the Patriotic set up from a family party earlier this month. Bryan Eaton/Staff Photo Newburyport News Wednesday July 29, 2009.